The good weather continued and I woke up to some beautiful sunshine. 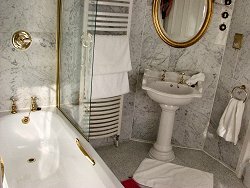 After a very nice run along the Caledonian Canal and a shower in one of the nicest bathrooms I ever used (I like bathroom with lots of light) I was ready for Inverness and Loch Ness. As the weather was so nice I decided to make a quick detour via Culloden Battlefield. 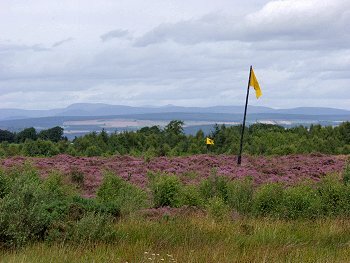 At Culloden the Jacobite uprising effectively ended when Bonnie Prince Charlie's army was defeated here by the Duke of Cumberland's forces on the 16th of April 1745. The area was entirely unsuitable for the traditional Highland Charge and at least 1200 Jacobite troops died. The positions of the two armies are marked by flags (on the picture the government lines), next to the field are the clan graves marked by simple headstones. 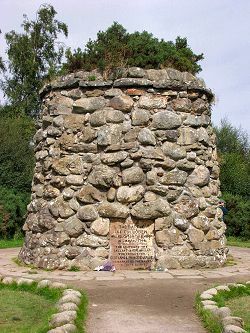 The cairn was erected in 1881 by Duncan Forbes of Culloden who also erected the headstones. As I had already visited it on a previous visit I didn't go into the visitor centre, but I remember that it gives a good overview about the history of the Jacobite rebellion and the Battle of Culloden. From Culloden I made my way back to Inverness to take a look around the city. 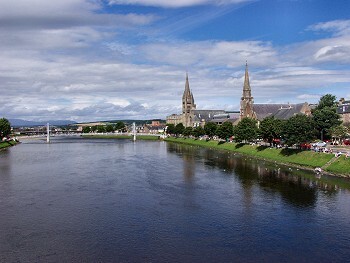 I had a nice walk along River Ness with some good views from one of the bridges and up to Inverness Castle. 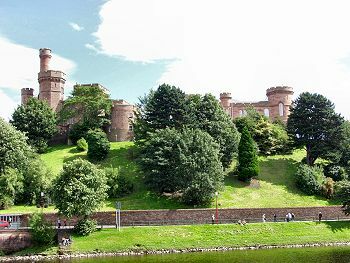 The castle sits high over the river, with potential for some nice views. 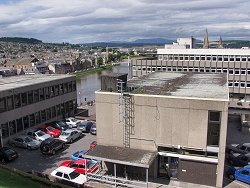 Unfortunately some of the are spoiled by ugly modern buildings, but others like the view over to St Andrews Cathedral remain. 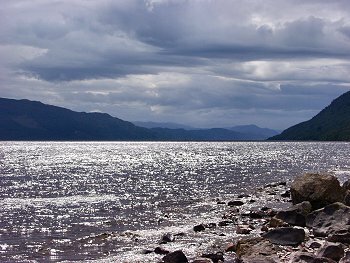 From Inverness I made my way to Loch Ness, where the Loch Ness Monster was nowhere to be seen. So I visited Urquhart Castle instead. 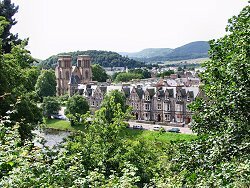 It is one of the most visited historic sites in Scotland, so it was quite busy. 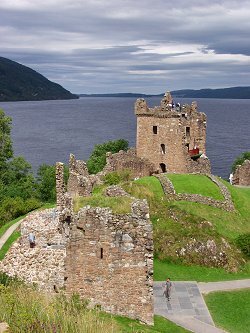 The castle had a turbulent history due to its strategic position in the Great Glen, which is documented in the recently opened visitor centre. Also on show is a replica of a Trebuchet, a type of medieval siege engine. These stone balls weigh over 70kg and in experiments they were hurled up to 200 metres by a Trebuchet. 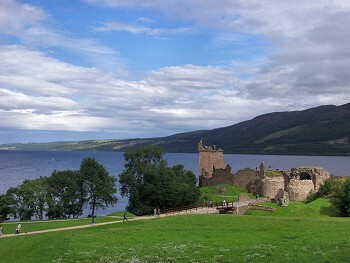 I looked around the castle for a while, also enjoying the excellent views over Loch Ness (still no monster though). 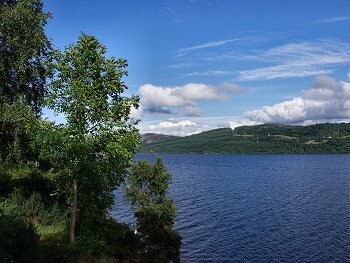 From the castle I continued along Loch Ness to Fort Augustus and Invergarry. At Spean Bridge I turned east to follow the A86. 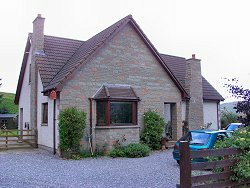 I found a B&B in the small village of Laggan in "The Rumblie".